Can you boogie? 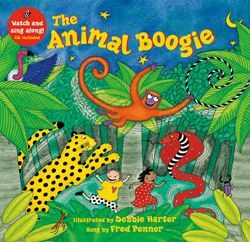 Down in the Indian jungle, the children and animals are learning about actions like leaping, stomping, shaking and flapping while meeting different jungle creatures. The accompanying enhanced animated singalong CD continues the interactive fun!